Graphic Design and Website Design specialists, Fifteen Design have constructed a great new website. 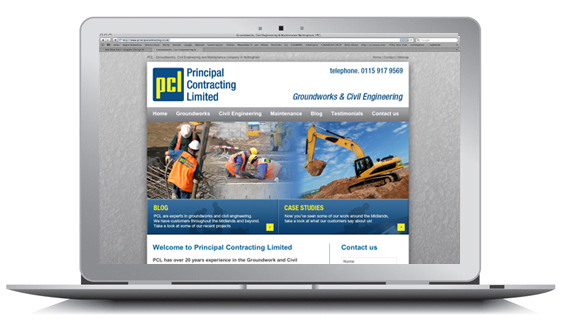 Groundworks Nottingham and Civil Engineering Nottingham company PCL needed a fresh new look on their website and Fifteen Design came to the rescue! We love their website and PCL are over the moon with it too, there is nothing better than getting great feedback from our clients!